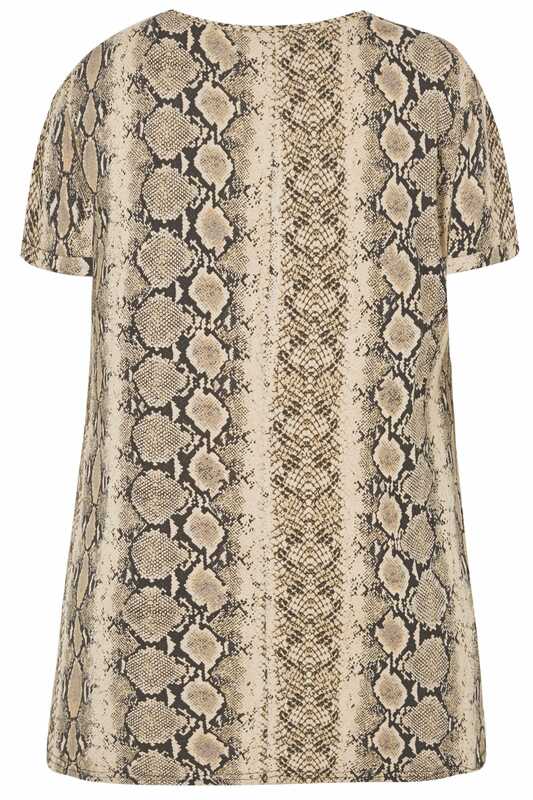 Your jersey staples get a stylish update this season with the must-have print: snake. 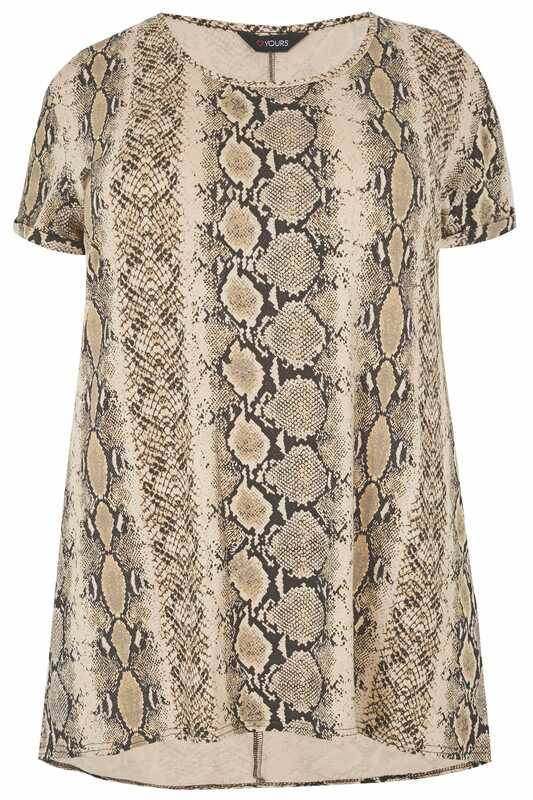 In a golden sandy tone, it features a simple scoop neckline, short sleeves and a curved hem. Just add your favourite denim and ankle boots for a chic and casual look. A printed jersey is perfect for weekend wearing.